Another year has come to an end, and here at the Cape Town Tourism offices, we’re ready to stride into 2019. When you live in one of most beautiful cities on earth, it’s not hard to find ways to make your future more exciting, fulfilling, and fun. We asked the Cape Town Tourism team to name some of the things they’d love to do before the next year is over. Here is a list of 52 things to do in Cape Town in 2019—one for every week—to make it your most memorable year yet. For discounts and free entry to loads of Cape Town’s top attractions, get your City Pass now! The Wine Tram is the best way to take in the Winelands. You don’t have to worry about driving or directions—you can just relax and journey through rolling vineyards, stopping at some of South Africa’s oldest and most distinguished wine estates. No Cape Town bucket list would be complete without a trip up Table Mountain. The Aerial Cableway affords 360° views of the city on your way to the top of the mountain. At the top are unbeatable views of the city, along with a restaurant where you can grab some lunch. The promenade is where Capetonians from all walks of life come together. You’ll see everyone here—joggers, dog walkers, families, cyclists, skateboarders, couples… you name it! The views are fantastic and the sea breeze is enlivening. Top it off with an ice cream at The Creamery Café to enjoy while you walk. Starlings is one of the best brunch spots in Cape Town, and they specialise in tasty, healthy, fresh food. The eggs benedict is amazing, as are their fresh juices and home-baked pastries and desserts. Cape Town does some of the best fish ‘n chips in the world, and it couldn’t get any fresher than at Salty Sea Dog in Simon’s Town. Get takeaways from here and take a stroll down the dock to enjoy your lunch overlooking the whole of False Bay. 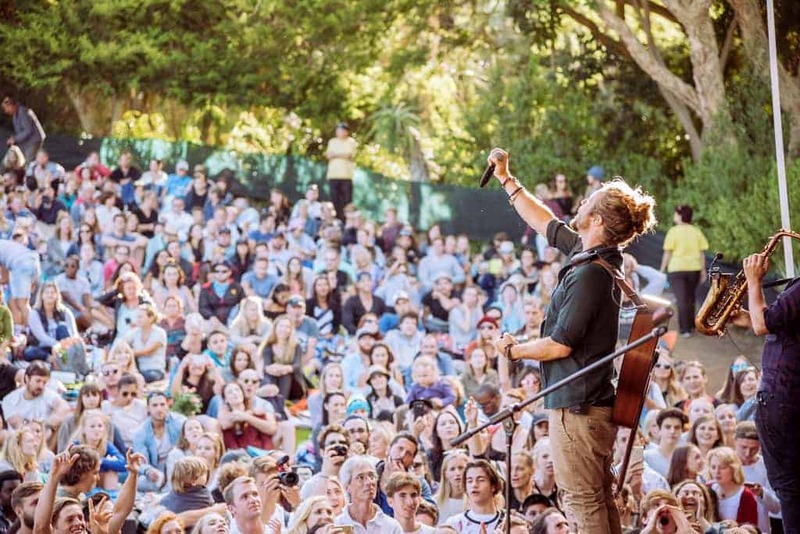 The Summer Sunset Concerts at Kirstenbosch are a summer favourite with locals. Take along a picnic blanket, drinks, and your favourite snacks and set up camp on the rolling lawns. There are great local acts as well as a few international headliners on the line-up every Sunday between November and April. Cape Point Vineyards is the perfect place for a picnic. There are terraced lawns, shady tables, and comfy cushions to set up your spot with. The venue is alongside a dam, with views of Noordhoek beach. Kids will have an amazing time here, and so will the adults. The Cape Point wines are award-winning and the Sauvignon Blanc is the perfect summer drink. The picnic baskets contain generous servings of gourmet food. Bistro 1682 has an idyllic location on the Steenberg Estate. The dinner menu consists of tapas-style cuisine with a fine-dining flair. The wines made right on the estate are fantastic, and there are4 few better ways to spend an evening than by washing down fresh oysters with a glass of Steenberg MCC. Kloofing is the South African word for “canyoning”. For those who want a little more adrenaline than your standard hike offers, take a trip out to the Steenbras River Gorge, known locally as Crystal Pools, located near Gordon’s Bay. It’s a scenic but sweaty day of jumping into pools from heights of between 3 and 24 metres, as well as 45-metre waterfall abseil. Roller Derby is a full-impact women’s sport that’s taken Cape Town by storm. Women of all shapes and sizes take to the track for an hour of high-intensity skating. It’s not a sport for the faint of heart. Players smack into one another and falls are frequent. Try your hand at it, or head to one of the “bouts” as a spectator. Woodstock is a diverse and ever-changing Neighbourhood, and it’s at the forefront of Cape Town’s street art scene. There are walking tours available that take you around the neighbourhood to explore the art and get into the spirit of this eclectic, arty area. 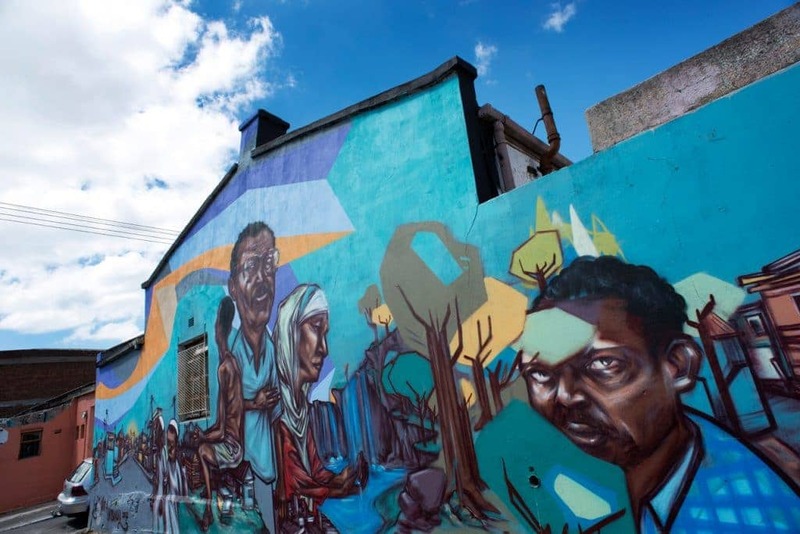 We recommend taking a tour with the enthusiastic and knowledgeable mural artist, Juma Mkwela. By now we all know that posing with baby animals is a big no-no, so it’s great to find establishments that take conservation and rehabilitation seriously. Cheetah Experience Ashia is a sanctuary and retirement home for cheetahs, where you can meet ambassador cats, or watch the world’s fastest land mammal go for its morning run. Unfortunately, no kids are allowed. Miniature golf is a great time for both young and old, and where better to tee off than along the spectacular Atlantic Seaboard? It’s really affordable fun for the whole family and makes for an amazing post-lunch activity. The Fugard Theatre is one of the best places to see theatre in Cape Town. This is where you’ll catch most of the city’s biggest productions. There’s a lot going on year-round, but if you’re here in January don’t miss the Fugard Bioscope National Theatre Encore Season. It’s a chance to see some of the most popular theatre titles of the 2017 bioscope season. The productions are filmed live and shown on the Fugard’s full-size high definition cinema screen with high-quality surround sound. The Alexander Bar is an eclectic bar and theatre in the City Bowl. It’s a great place for a drink and a show, and their Wednesday night quiz-night is a hit with locals. It’s not like most quiz nights… check it out for yourself! The Cape Camino Trail is walking pilgrimage route around the Cape Peninsula. It is inspired by the well-known Camino de Santiago, (the pilgrimage route in Europe) but is adapted for our South African conditions. The route takes in the diverse sacred spaces found in Cape Town, from the iconic Table Mountain to Cape Point, then back to the city along the Atlantic seaboard. Under the surface of the sea on Cape Town’s coastline is a truly magical landscape most of us have never seen. The kelp sways gently in the current and light streams in from the surface. The plants can rise 30 metres from the sea floor, and many fish, crustaceans, and even seals flit about in this other-worldly scene. Cape Town is spoilt for choice when it comes to markets, selling food, vintage clothing, antiques, crafts, art, and just about anything else you can imagine. Try the ever-popular Neighbourgoods Market in Woodstock on Saturday mornings, or the Earth Fair Food Market in the City Bowl on Thursdays. This is the year for tracking down the best craft beer in Cape Town. This is no easy task—there is a seemingly endless list of local breweries making some of the finest beer you can find, and new ones are popping up all the time. Braai (barbeque) is one of South Africa’s favourite ways to eat. Make a fire, open a cold drink, and sit around with your favourite people watching the coals cook your food. Cape Town has a number of great braai spots, but Oudekraal, between Camp’s Bay and Llandudno, is one of our favourites. The braai areas are secluded and the view of the ocean is unbeatable. Take your pick of one of the best spas in Cape Town, where you can find world-class treatments to suit any tastes. 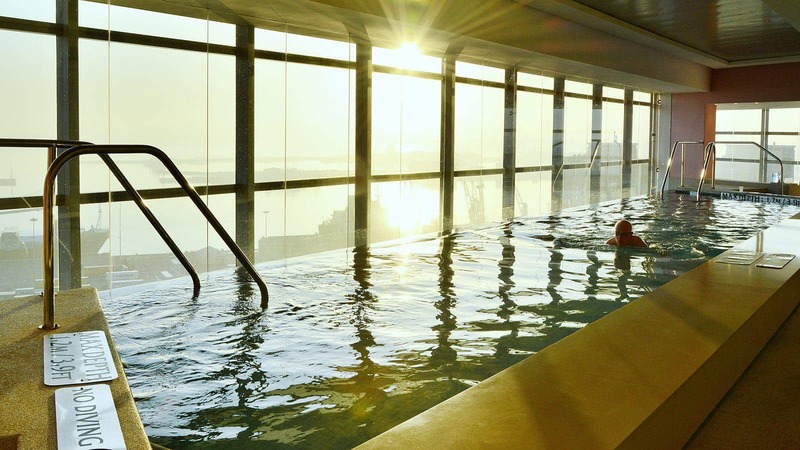 We’d recommend the Heavenly Spa at the Westin, with its amazing views over the city and bay. Your visit to Cape Town should definitely include a visit to the iconic Pink Lady. The Belmond Mount Nelson Hotel is famous for its lush gardens, luxurious quarters, and its traditional British high tea service. Get dressed up and enjoy sumptuous cakes, pastries, and sandwiches while a live pianist music sets the mood. The Mother City is picknicking heaven, where you can find all sorts of amazing pre-packed picnic baskets in beautiful settings. 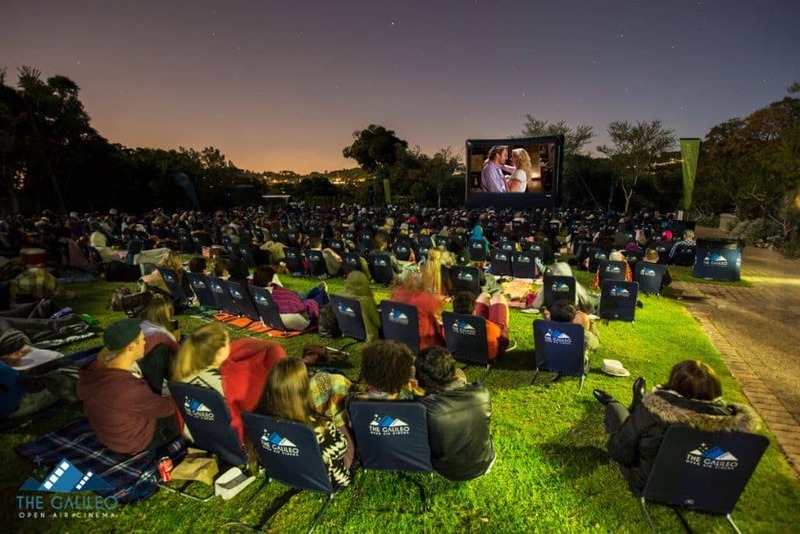 Kirstenbosch is an attraction in its own right, and arguably the best place of all to spread your blanket and snacks. You can pre-order picnic baskets or pack your own, and there’s plenty of space on the rolling lawns to set up. It’s not difficult to find a good spot to watch the sunset in Cape Town, but the Bakoven boulders are hard to beat. Soak in the view with a cold drink, ice cream, or some snacks, perched atop the amazing granite boulders that make this beach so distinctive. Sundays at the Potluck Club are for those who need to level up their brunch game. It’s a tapas-style restaurant started by Luke Dale-Roberts, of The Test Kitchen fame. Here, brunch is a fine-dining set menu that kicks off at 11 am, on Sundays only. Tapas platters are served with many delectable treats. For an extra fee, you can also enjoy bottomless bubbly. 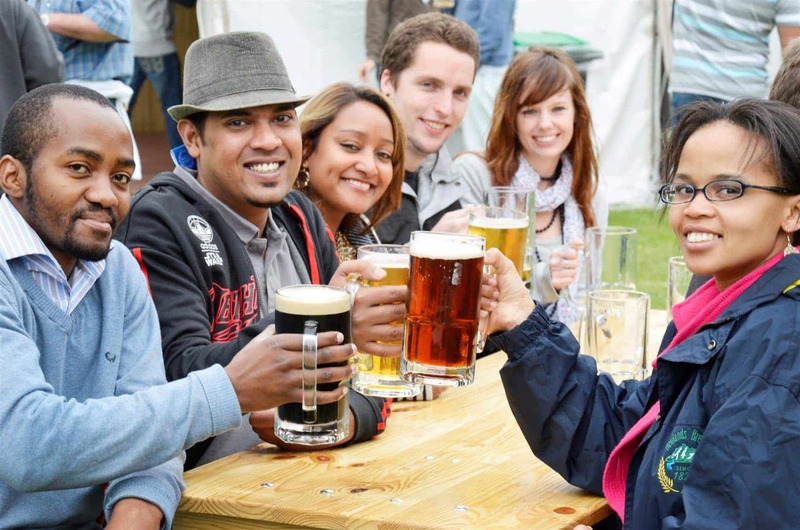 The historic Newlands Brewery dates back to 1820 is the oldest operating brewery in South Africa. The tour lasts about an hour and explores the craftsmanship that goes into the beers. It ends with a beer tasting and a couple of pints in the brewery’s historic pub. Hout Bay is a fantastic sea-side neighbourhood in Cape Town that offers something for everyone, any day of the week. If you’re looking for some of the freshest fish and chips in the area, Mariner’s Wharf is where to find it. It’s situated right at the edge of the Harbour, and not only can you buy great food, but also marine artefacts, souvenirs, and antiques. The Somerset West area is known for its natural beauty, and the Helderberg Nature Reserve is no exception. There are hiking trails to suit every fitness level, and the bird life is rich. There are also beautiful shady lawns which are perfect for picnics. Cape Town is famous for its wine, but there’s also a burgeoning gin scene in the city. There are many little gin bars and distilleries to visit. Check out Hope on Hopkins in Salt River. Don’t miss the amazing Bloedlemoen gin, infused with Blood Orange flavours! Langa is a township just outside of Cape Town, and Nonzamo does the best meat in town. There are also delicious sides, so even vegetarians won’t go hungry. The Hard Rock Café is a relative newbie on the Cape Town bar scene, but it’s rocketed to the top of our bucket list. Grab a burger and beer, and don’t forget the t-shirt. Get your city Sightseeing bus ticket and a free classic burger & chips at Hard Rock Café with a one day City Pass. Noordhoek beach is a picture-perfect stretch of white sand, backed by mountains and forest. There are few better ways to experience it than by horse-back, and Sleepy Hollow Horse Riding can take you on a guided trail no matter your level of experience. Silvermine Nature Reserve is located in the middle of the Table Mountain National Park and offers some truly exquisite hiking opportunities. Take the trails leading through the fynbos, overlooking the whole city and the sea, to Elephants Eye cave. On the way back down, cool off in the beautiful Silvermine Reservoir. It’s a wonderful way to spend a summer day and is great for kids. This beach, next to Big Bay near Bloubergstrand, offers amazing views of Table Mountain across the bay. Aspiring surfers of any age and skill level can hit the waves here, and there are a number of schools around to help you find your feet. It’s also a popular kite-surfing spot. Langa Quarter is one of Cape Town’s coolest hubs. 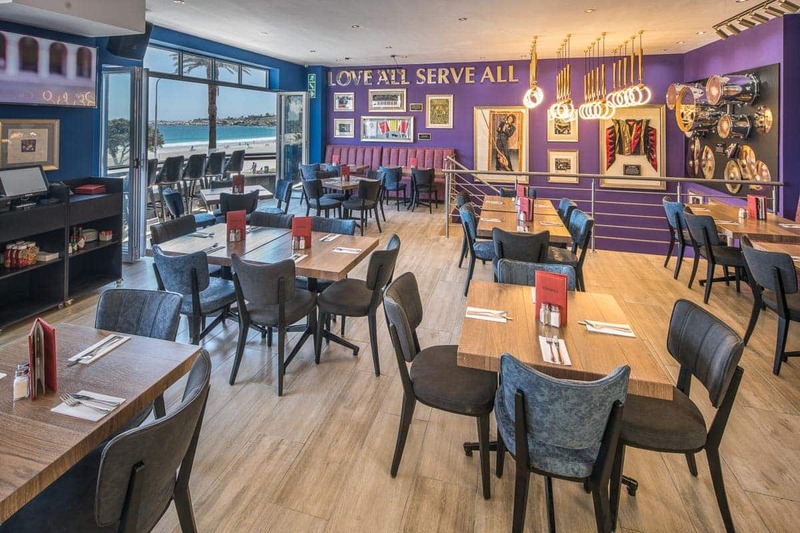 The non-profit organisation Ikhaya leLanga has turned the area into a vibrant hotspot where Capetonians and tourists can and enjoy what that local community has to offer. There are jazz venues, art galleries, and restaurants to explore. The Galileo Open Air Cinema has screenings almost every day in the summer. The venues are amazing, and you can take along picnic baskets and drinks. They screen classics, with a different line-up every year. This trendy Bree Street eatery is one of the best places to get fresh seafood in the city, and their Happy Hour special is incredible—between 12-1 pm and 5-6 pm daily you can get oysters for R10 a pop! Vergenoegd Wine Estate is a little outside Cape Town, in Stellenbosch, but it’s worth the trip for the ducks! Over 1000 ducks live on the estate as a natural method of pest control. They take care of any snails and bugs that might otherwise spoil the vines. Between 9 and 10 am on weekdays you can watch the army of ducks parade around the estate. It’s a fantastic option for families. Beneath Cape Town’s streets, there is a massive network of underground canals and rivers, some of them dating back as far as 1652. You can take tours of the underground tunnels for a totally different perspective on the city. Check the website first to make sure they’re open, and don’t forget your torch! Imizamo Yethu is the township located on the slopes of Hout Bay. You can hop off the City Sightseeing bus here to take a tour with a local guide. You’ll explore the community, visit a tavern for a drink, and taste amagwinya (a deep fried dough served with savoury mince or jam). 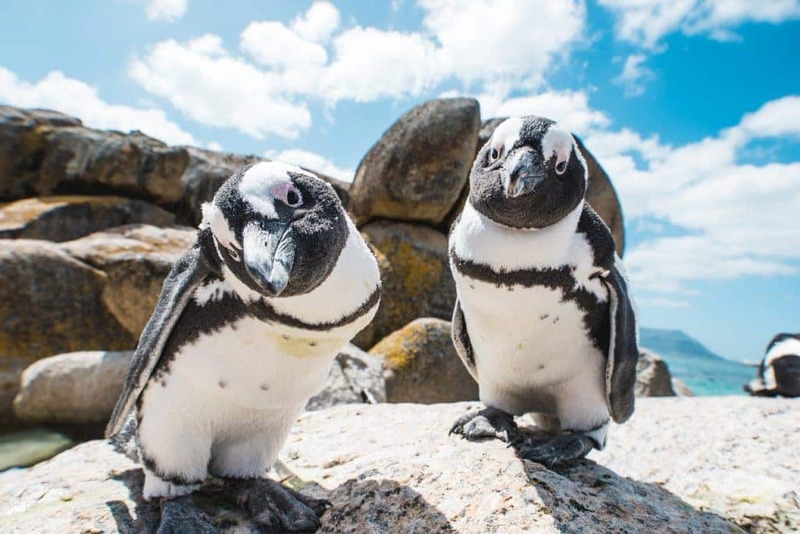 Visit Cape Town’s favourite monochromatic friends without having to get into the cool waters when you take to a kayak in Simon’s Town. Boulder’s Beach is the best place to see the penguins in Cape Town, but kayaking is a great way to beat the traffic and see the penguins and other sea life while letting your legs get a rest while your arms do the work. Just remember to apply tons of sunblock! The Silvermine part of Table Mountain National Park is a beautiful green oasis where you can braai, picnic, and swim with the whole family. You can also take a hike up to Elephant’s Eye for an incredible view of the southern side of Cape Town or take a guided hike to Noordhoek Peak. With the rich biodiversity in the area, there is much to see and appreciate and the water will cool you down on a hot summer’s day. There is an entry fee to pay at the gate (cash only), but you can get a great discount with a Green Card or Wild Card. You’ll find everything from vegan sushi to beefy burgers (and amazing wine to compliment it) at the Cape Point Thursday night market. It’s a must-do for locals and visitors and for good reason. You’ll be spoilt with views of Noordhoek’s mountain and the awe-inspiring verdant vineyards. 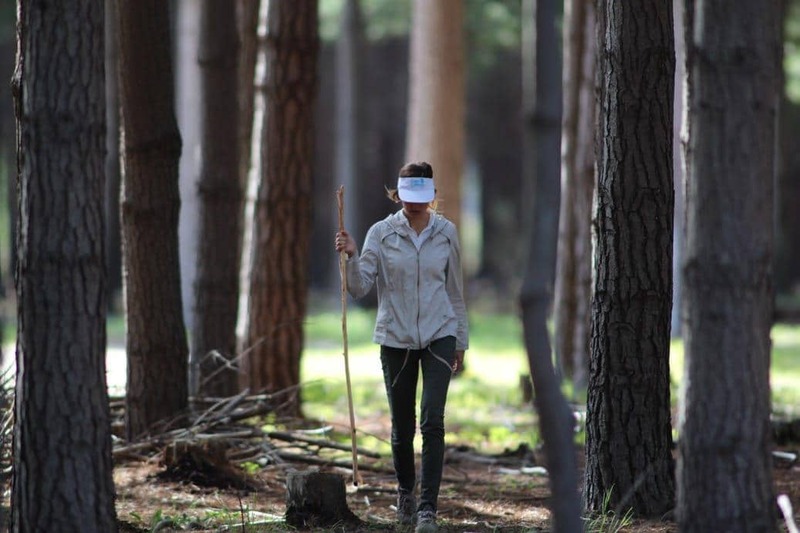 Envisaged as a great Cape trek that stretches from Cape Point to the Cableway station on Table Mountain, the Hoerikwaggo trail was supposed to be a five or six-day hike with tented campsites along the route. Unfortunately, it’s not possible to do an uninterrupted hike, but you can still take advantage of the incredible views and unique camping spots on this route. The tented camps at Orangekloof in Kommetjie are legendary and you can use them as a base to when you walk the Twelve Apostles trail, the contour trail or the reservoir trail. Nature lovers will feel rights at home in this green paradise that feels like the home of fairies, gnomes, and unicorns. It’s right on the slopes of Table Mountain so you know you’re in for some inspiring natural sights and flora. Enjoy a peaceful walk or run under the trees or pack charcoal and meat for a braai at the nearby braai facilities. City Sightseeing has combined three of Cape Town’s favourite things all in one tour: Wine, beautiful scenery and great food. Their Constantia Wine Valley bus stops at Groot Constantia, Eagles’ Nest and Beau Constantia while driving on some of the most beautiful roads in the city. These three green wine estates have incredible wine and food on offer and the views are unparalleled. Plus you’ll hear some fascinating facts (in no less than 15 languages) while you drive, so it’s something we’d recommend for locals and visitors as you’re bound to learn something new. To take this tour you’ll need to take the Mini Peninsula Tour and hop off at Constantia Nek. See the city from a bird’s eye view (literally) as you float about the Atlantic Sea Board on a tandem paragliding jump with reputable companies like Skywings, Fly Cape Town or Cape Town Tandem Paragliding. It’s not a scary experience as you don’t fall but rather float and have a chance to appreciate the view of the buildings, ocean, and Lion’s Head and Table Mountain. It’s a bucket list item we’d recommend you do annually for some fresh perspective on the beautiful Mother City. Abseiling down a world icon is something all adrenaline junkies and adventure lovers should try at least once. Table Mountain, one of the seven new Wonders of the World, is over 1000 metres tall and you’ll get to abseil down at least 100 metres as you see the city like not many others have. It’s quite a rush! Be sure to take the Table Mountain Aerial Cableway up and down for a 360-degree view of the city. The Zeitz Museum of Contemporary Art Africa is the largest art museum in Africa, and the largest museum in the world showcasing the art of Africa and its diaspora. It opened at the end of 2017, and it’s still number 1 on many people’s to-do lists. The exhibitions change regularly, so even if you’ve been before, add it to your list! The Ceres Rail Company offers rides on a steam train from the 40s. It’s a fun and unique experience and takes you through some of the most picturesque areas of the Cape to Ceres. Onboard, you’ll find snacks, meals, and drinks to keep you going. The Department of Coffee is the first township-based artisan coffee shop in South Africa. It’s run by Khayelitsha locals who wanted to bring good quality coffee home with them, and they make a mean brew. Between Simon’s Town and Cape Point Nature Reserve, you’ll find the picturesque Smitswinkel Bay. Take a short walk down to the beach for an incredible view of the mountains and sea and the opportunity to snorkel, picnic, or go diving. Take a dip in the pretty rock pools when you feel warm and be sure to pack lightly for the trek up and down. Planning a trip to Cape Town? Book flights and browse accommodation now to get the best rates. The Cape Town City Pass gives you access to over 70 of the top Cape Town attractions, tours, and things to see and do, including the popular hop on hop off City Sightseeing bus. Cape Town is one of South Africa’s most historically important cities….